We cover Microsoft Research’s projects here at TNW mostly because we’re dorks who get off on gadgets, tomfoolery, and technology that has no real world application. However, what we are bringing you today is a fun slurry of off-the-shelf Xbox equipment, software that you can snag yourself, and nightclub fixtures. Please say hello to the Beamatron. By hooking a projector, Kinect sensor, and swiveling unit that, according to Microsoft is akin to a spotlight mount, the company’s Research team has built a tool that allows you to race a virtual car around your real room. Here’s how it works: first, the Kinect sensor using KinectFusion makes a digital 3D map of the room. Then, a car is shot onto the ground using the projector. Microsoft has banged out some code that takes into account the real world terrain, and as the car zips around, it reacts to the physical landscape. So, a projected car moves around your room as if it was a real machine. Awesome? We think so. To get the full picture, and to see the bugger in action, hit the clip. We’ll circle back afterwards. Our favorite part of this is how ‘consumer’ this is. It looks like something that a few guys could do at home, if they had a few dollars to spare and some coding chops. But then again, that’s what Microsoft Research often puts together: projects that highlight what is possible now with what is actually for sale. Not always of course, but this sort of project is our favorite. 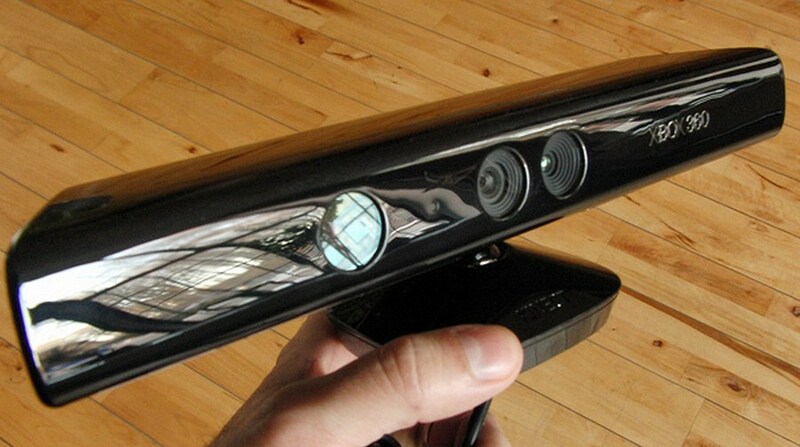 Remember when the Kinect first came out, and everyone and their lost cousin was hacking it? What happened to that?